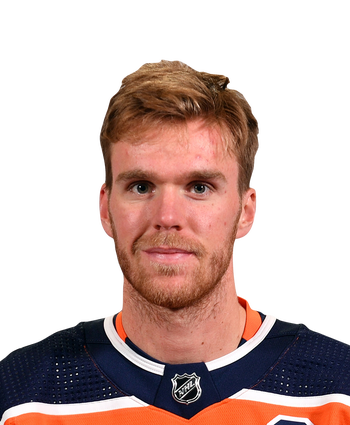 McDavid suffered a small tear of the PCL ligament in his knee during the Oilers' regular-season finale against Calgary, but he won't require surgery, and should be at full strength once training camp gets underway in September. The 22-year-old phenom, who racked up 41 goals and 116 points in 78 games this campaign, will be the unquestioned No. 1 overall pick in all fantasy formats heading into next season. The Oilers brass decided not to provide any details on the nature of McDavid's injury or a timeline for his recovery, but it appears they have a plan in place for his rehab. He was walking without crutches just days after the event, so we don't expect his recovery to impact his status for next season. 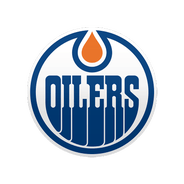 Expect the team to provide more details and perhaps a timeline in the coming days, but McDavid and the Oilers appear to have dodged a big bullet based on these early reports. At this point, nothing would suggest No. 97 won't be fully healthy once training camp gets underway next season. It was a scary sight Saturday night as McDavid was tripped up by Mark Giordano and crashed into the net. He remained down for a while but was eventually helped off before heading to the hospital. The preliminary news is favorable and should allow Oilers fans to breathe again. but the results of his MRI will be the final verdict when it comes to a recovery timetable. McDavid was crashing towards the Calgary net with the puck at a very high speed as his legs got taken out from under him, sending him sliding unprotected into the post. The Ontario native reportedly left the stadium -- assisted by a wheelchair -- to get x-rays at a nearby hospital. The news of negative x-rays comes as a sigh of relief -- especially in the last game of a lost season -- but a timetable for McDavid's recovery is still yet to be determined. The two-time Art Ross Trophy recipient will return home with the team and have an MRI in Edmonton on Sunday.